In this tutorial i will show you a really interesting scene of Ground Destruction. I will use favourite momentum and implosia FX Plugins to make it more real and nice. 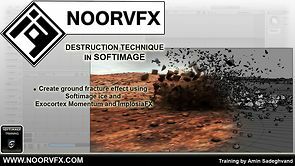 Software & Plugins : Softimage 2013,Exocortex Momentum,ImpolsiaFX .